In 12 consecutive years of hunting public land DIY in the West, I’ve had the fortune of harvesting a bunch of animals. Without guides, and living in the East, sometimes that can be a big adventure. There is always a lot of research, sometimes scouting is doable, but not always the easiest. I learned early on, that having maps, and more importantly knowing how to read them, is critical. In the beginning it was just paper maps. Then it was an SD card you could plug into the GPS. Now it’s as easy as an app on your phone. 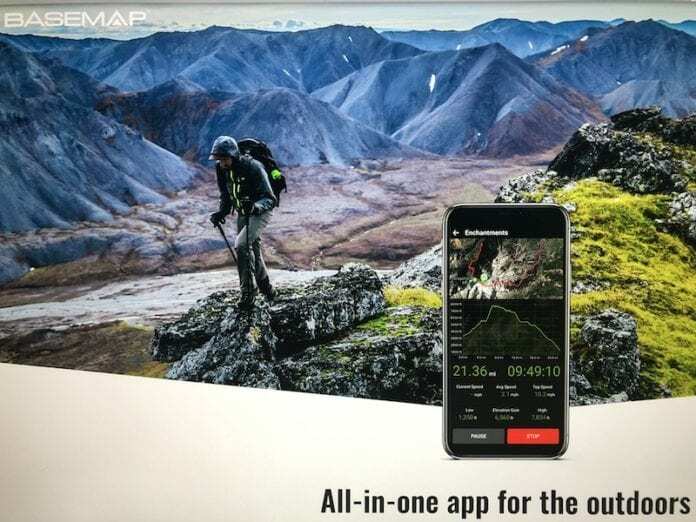 I had seen a friend of mine, Matt Tezak, posting about a company called BaseMap (Link to site). I never really looked into it, and wasn’t familiar with them. I was intrigued though, when I was contacted to possibly do a review for Rokslide, on this mapping software. Jordan Budd also did a video review. Over the years I’ve pretty well dialed in my system with maps, software, and GPS. Over the last couple of years, I have transitioned over to using the phone app more. This system has a lot of advantages. A bigger and brighter screen which is easier to scroll, type, label, and save on with the app, versus a typical GPS. I downloaded the Pro-version of BaseMap to my computer and started playing around. The layout is pretty good. Most things are pretty self-explanatory. Two things jumped out right away. First, as I scrolled with my mouse, there were no location coordinates available on screen. Second, there are no on-screen visible toggles for switching between topo or satellite views, and there wasn’t a cross or hybrid screen with combined satellite and topo imagery. I jump screens while hunting and virtual scouting, a LOT. It isn’t overly difficult, in the current version of BaseMap, to go into the layer screen and select the different layers, but it would be much handier to have them as hot buttons available right on screen. This would be easier, faster, and more efficient. It would also be great to have a topo/satellite hybrid screen to see the topographical lines laid over onto the satellite views. This is another option I use a lot in the field, and from afar while virtual scouting. 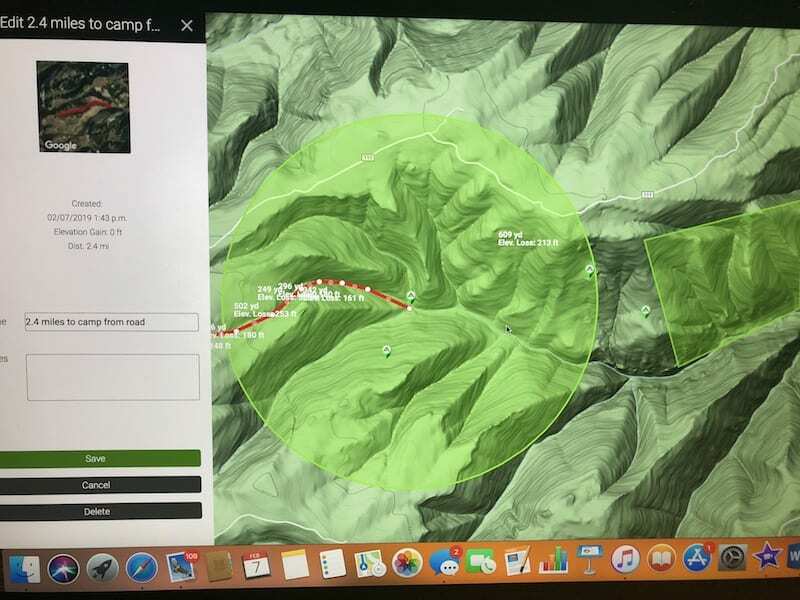 Pictured above is the Google Terrain layer, it shows a 1.5-mile radius of camp (the circle), and a red, mouse drawn route, from truck to camp. This also shows elevation change over the given points along the route. Also shown are some waypoint markers, and a 615 acre chunk I drew with the Polygon feature, that I want to look over. I also use the UTM coordinate system. IMO, this system is so much easier and faster to use. It simply uses a 6 and 7 number system to show location vertically and horizontally so to speak. This makes it super simple to quickly cross reference position on maps, GPS, and from person-to-person. Creating, pinpointing, and navigating to said coordinates is also a breeze this way. Unfortunately, this coordinate system isn’t an option with BaseMap. Next up was to download and sync the mobile app. This was a pleasant surprise. Being new to the brand, I didn’t know they had a mobile app. Score! This was a super simple process for my iOS platform. I just went to the App store, and downloaded the BaseMap app. After using my same log-in and password, I was connected and ready to go. iMac, two iPads, and iPhone all synced and ready to go. When I do something on one device, it automatically updates the rest virtually instantly. This is awesome! The mobile app is nice. As I touched on earlier, so many easier options than a typical GPS. Both the topo and satellite quality are per typical, on both platforms, as you would see in other systems. 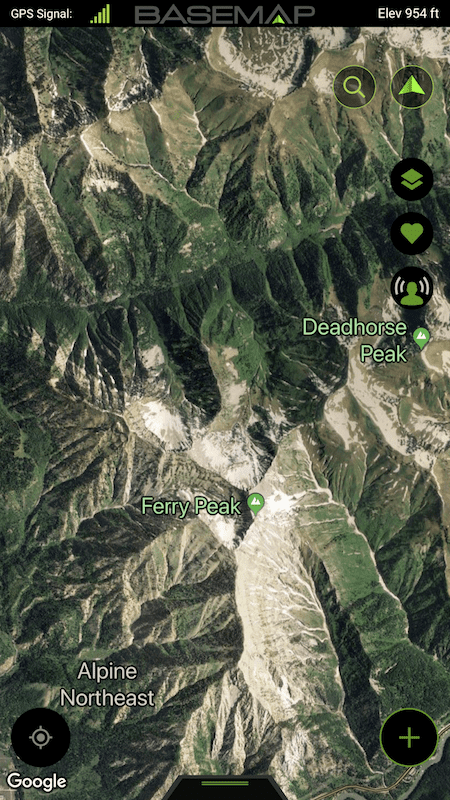 While using the app on my phone, it didn’t seem like I could get the topographical maps zoomed in as far as I normally did. I didn’t quite have the detail that I wanted, or at least that’s what it seemed. The satellite imagery was perfect, I could zoom in as tight as I wanted. I used this on multiple hunts, in a number of states this past fall. Wyoming was my first hunt. That’s where I noticed the perceived lack of topo zoom. When I got home from that hunt I took a quick look in comparison. My hunch was right, I was only able to zoom into a 500’ scale. Whereas I had been used to coming down to the 100’ scale, or less. For the most part, for hunting this wouldn’t be an issue. 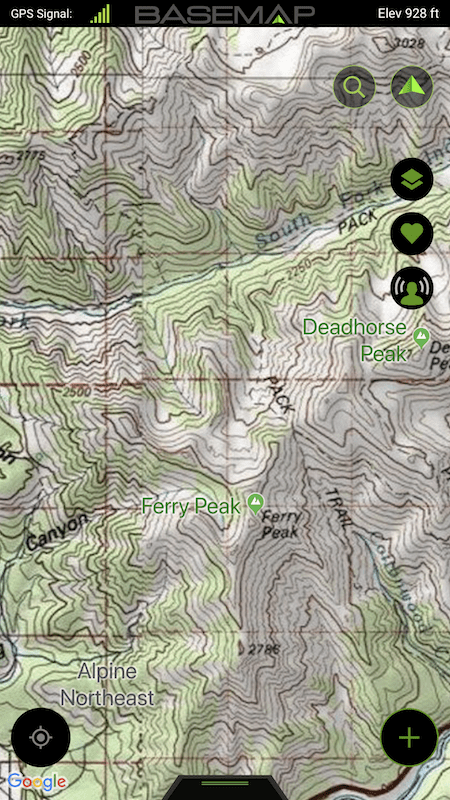 What I like that feature for is navigation, and precise waypoint placement. I use my maps/map software a lot for planning routes out in the dark, around certain terrain features, and for safety reasons. Having the higher zoom level allows me to be really accurate on the waypoint and route creation. Another unique feature of this software is the newly released 3D Earth Layer (must have data connection). 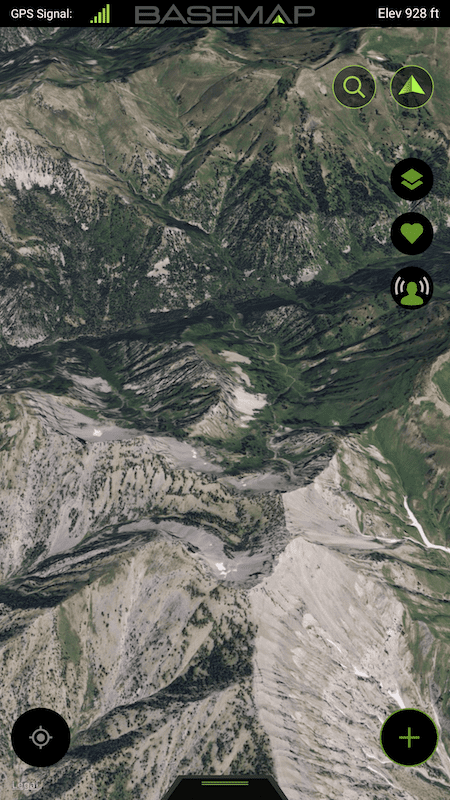 3D satellite imagery, map overlays and terrain details all within the app, it’s pretty sweet!! This was just updated in the last few weeks, so I don’t have any hunting experience with it, but I do have a bunch of virtual scouting with it. It will definitely be a game changer. Edit: Since completing the article I have used this quite a bit. I’m loving it. Can’t wait until I can really put it to use this spring. Below is a picture of the 3D earth layer. Compare that to the regular Satellite picture, and the topographical picture. They are different layers of the same chunk of land. BaseMap utilizes lots of Layers! Over 700 activity-specific layers will be sure to help you find what you need. 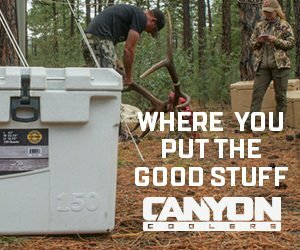 Hiking, hunting, and fishing….yes, fishing. 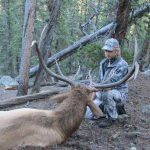 In my opinion, there isn’t anything like a bugling elk at 15 yards. However, hearing and seeing a 10’ cue stick fishing pole bent in half with a line peeling King Salmon on the end sure does get the heart racing! Technically these are called Water Layers; Depth Contours, Water Access, Points of Interest, Flood Hazard zones, Lakes, Rivers, and Streams are some of the available layers. If you are on the fence about buying the app or not, and you’re a fisherman, this should be enough to put you over the edge. 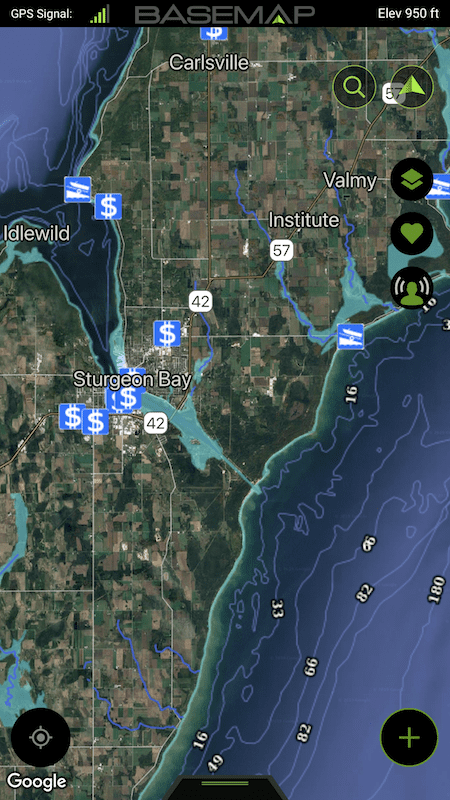 Having mapping of thousands of waterways at your fingertips is pretty amazing! Location Sharing is another feature with BaseMap. Share your location with your friends anywhere you have a data connection. They can find you in case of emergency, or see your progress as you climb to the next mountain, or prepare to find you and help pack meat. Need to share a marker? It’s as easy as sending a text. Got a unique waypoint you want to create? Take a picture with the camera, while in the app mode, and it automatically creates a waypoint and uses the picture as a marker. Aside from the more typical uses like line measurements, area calculations, waypoint creation, waypoint sharing, and layer usage, here are a few of the more prominent BaseMap features. Overall, I’m very happy with BaseMap. I would like to see them add UTM coordinates, on-screen coordinate positioning with mouse movement, an on-screen hot key for toggling between layers, a hybrid topo/satellite layer,and a higher zoom for the topographical layer. A lot of really great features, bullet pointed above, should excite new users. I’m ready to use the 3D view this fall to pinpoint a big bull. As soon as he hits the ground, I’ll use the Photo pin to mark him. Those water layers just might be enough to get me back to a little fishing this year. Well done BaseMap. Oh, and for $29.99 per year, who wouldn’t want this?? Click here to get started. You can comment or ask Les and Jordan questions here.